What are they putting in the water in Turin? It seems that the old lady grows more fearsome with age, her resolution strengthening, while her cutting edge becomes ever sharper. In a trend seemingly sweeping the top of Serie A, Juventus have added to their forward line with likely devastating effect. 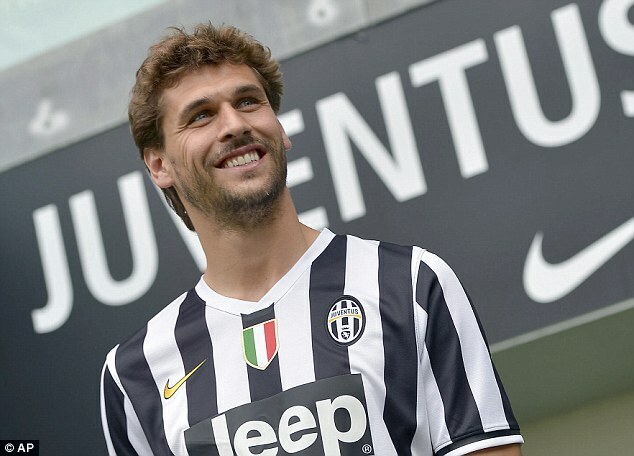 Following the transfer of Mario Balotelli to A.C Milan and Gonzalo Higuain to Napoli, Juventus have made two marquee signings up front in Fernando Llorente and Carlos Tevez. After the return of Antonio Conte, having served a one year ban for his part in the Serie A match fixing scandal, Juventus by no means had an unsuccessful season in 2012-13. Winners of the top Italian Division, having led the league since the 2nd round of fixtures, Juventus stormed to the title with an incredible record. They conceded just 24 goals and maintained an unbelievable 19 clean sheets. An astonishing achievement over the course of 38 games, especially when you consider that their nearest rivals Napoli conceded 36 goals over the league season. While this is fantastic for the fans of the Bianconeri, it is easy for those in the stands to become restless if they perceive a lack of progress. Surely this is why the manager has seen fit to bolster his attacking ranks. Perhaps this is also in the pursuit of improved performance on the European stage. It tells a story that Juventus' top scorer last season was Arturo Vidal (15), who certainly is a top notch midfielder, but the lack of an out and out goalscorer clearly contributed to their failure to move beyond the quarter finals of last season's champions league. Topping a tough group including Shakhtar Donetsk and Chelsea by 2 points, Juventus outscored neither, before meeting Celtic in the first knockout round, who were comfortably beaten 5-0 on aggregate. Next, coming up against eventual winners Bayern Munich in the Quarter-finals, a lack of threat was exposed as they lost 2-0 both home and away, sliding to a 4-0 loss on aggregate. Faced with a defensive unit as good as their own, Juventus found their shortcomings unassailable. Consequently, one of the most promising young managers in world football, at just 44 years of age, Antonio Conte has sought to rectify this. Firstly, the nature of the business conducted must be scrutinized. 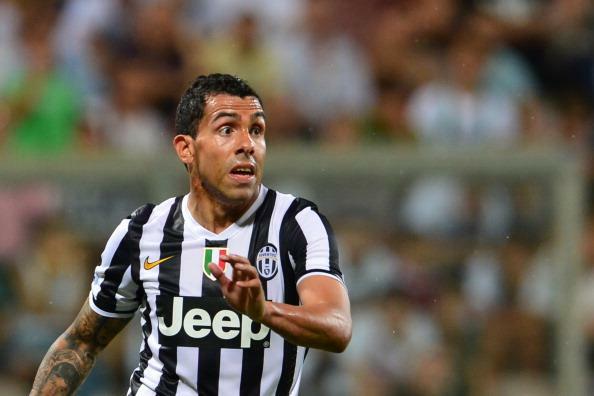 In bringing in two top class centre forwards, Juventus have parted with the total sum of 10 million Euros. Signing unsettled Llorente on a free transfer from Athletic Bilbao (118 goals in 333 appearances) could yet prove to be a masterstroke, while the acquisition of the volatile Carlos Tevez (73 goals in 138 games for Manchester City) for such a small fee in footballing terms, should guarantee goals in a competition which cannot boast the quality of the Premier League, in terms of team-for-team competitiveness. It could even be said that they could strike up quite a partnership given their relative attributes. Llorente is big, strong, an aerial threat and a fantastic forward to play off of, while Tevez will provide undiminishing work-rate, tenacity and pure quality in terms of finishing. Coupled with the pacey, skilful threat of Giovinco and creativity of Vucinic, Italy's most successful team promise to be a real force, not only in Serie A, but also in the Champions League this season. The only potential fly in the ointment, could be the unprofessional attitude shown by both strikers when not playing regularly (Tevez's Jaunt to Argentina, and Llorente's time spent on the bench due to disagreements with previous manager Marco Bielsa) though this should not be an issue at their new club, where both would be first-choice forwards. This does not bode well however for the likes of Quagliarella and Matri who will be expected to be shown the door at Juventus Stadium. With Norwich already rumoured to be interested in the former, and Emannuel Giaccherini having been sold to Sunderland, this could potentially hint at more of a wide role for Giovinco should Llorente be used on his own upfront, in combination with a fearsome midfield three of Pirlo, Marchisio and Vidal, not to gloss over the huge emerging talents of Pogba and Marrone. This proves the shrewd nature of the club's transfer maneuverings, as not only have they brought in quality, having purchased promising defender Angelo Ogbonna to add to a squad rich with strength-in-depth, but also in a way which gives the team a plan B which will be just as strong as whatever strategy they choose to start with. 4-4-2 or 4-3-3, Conte's team seem to be versatile enough to cope with most opposition. Boasting one of Europe's best defensive units, arguably one of the best midfield packages (apart from maybe recognized wingers, as Giovinco and Vucinic would likely be used- it would be no surprise to see an ageing Simone Pepe shipped out), and now a potentially lethal strike-force, it is hard to see how anyone can topple this team from the top of Serie A, or fail to reach at least the semi-finals of the Champions League.